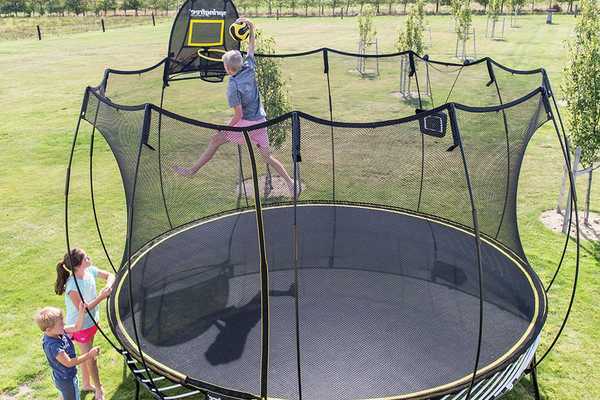 A trampoline can provide many hours of fun to your kids. It’s also a great way for children to get some exercise and spend some time outdoors. 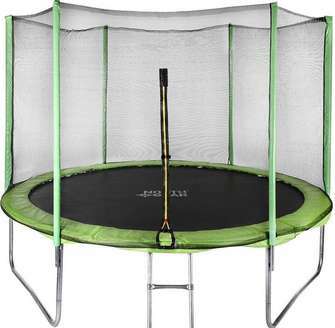 However, if you don’t have enough space in your yard, you can easily find a small trampoline to use indoors too. If you think that trampolines are just for kids, you are wrong. Exercising on a trampoline has many benefits for adults too. First of all, this piece of equipment will definitely make your workout regimen more fun. Furthermore, rebound exercises are a great way to lose weight and tone your muscles. These exercises will also stimulate your metabolism. 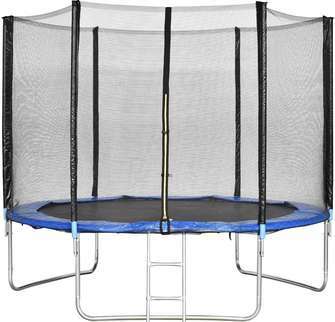 All of this sounds amazing, but prices of trampolines can get quite high, especially with larger models that are suitable for adults. 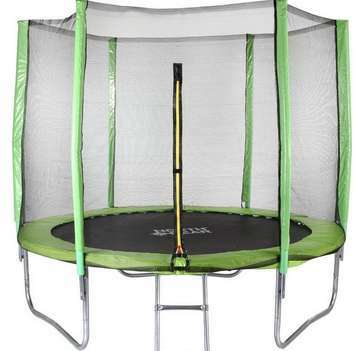 So, where can you find the cheapest trampolines with enclosure for sale? Definitely on Amazon. Not only will you find the lowest prices, but you will also get free shipping if you are an Amazon Prime member. This way, you will have the trampoline at your door in one or two days. 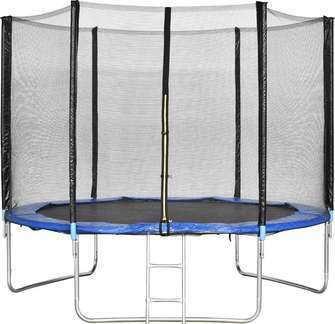 Here the cheapest trampolines available in the market. The steel frame is resistant to rust which makes it suitable for outdoor use too. Another great thing about this trampoline is that it has bands instead of strings for tension support. Bands produce much less noise. Each band is two inches wide, safe and stable. 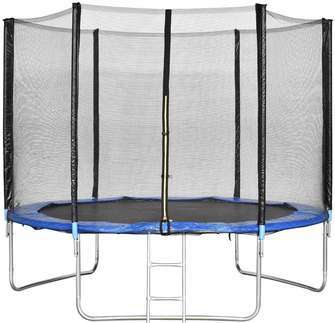 This North Gear trampoline is well-constructed and very functional. It stands on three U-shaped legs with 6 contact points. The enclosure is made of high-quality polypropylene mesh, and there are 6 columns that keep it in the right place. A cover is also included to help protect your trampoline from water and sun damage. 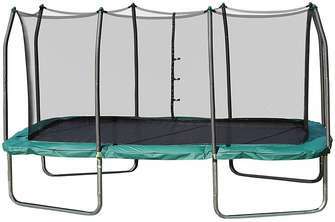 The weight limit is 220 pounds which is enough for two young kids to jump at the same time. Check latest price here. The first thing you need to decide when buying a trampoline is which size you want to get. This decision will, of course, depend on the amount of space you have for a trampoline. 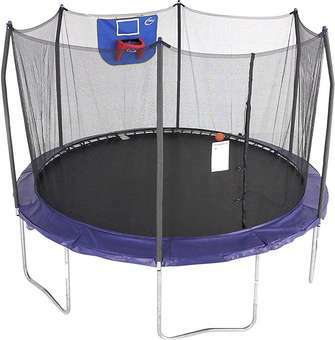 Trampolines sized up to 10 feet are ideal for families with young children. 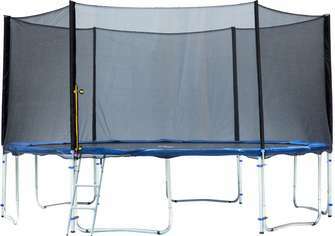 However, if you want a trampoline that allows for more than one person to jump at a time, you’ll need at least a 12ft trampoline. 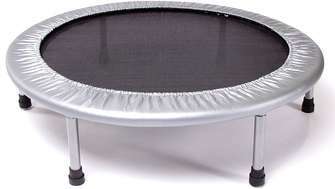 When it comes to shape, you can choose between round, rectangular and square trampolines. 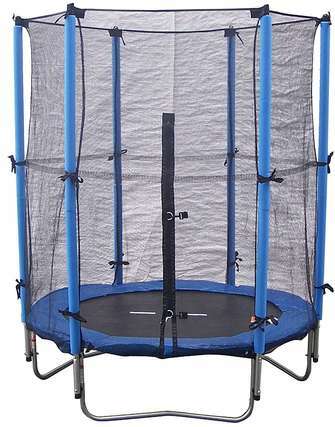 Round trampolines are the most common, and they are generally cheaper than rectangular and square trampolines. It’s also very important to think about how many people will be using the trampoline and to check if the weight limit is high enough. 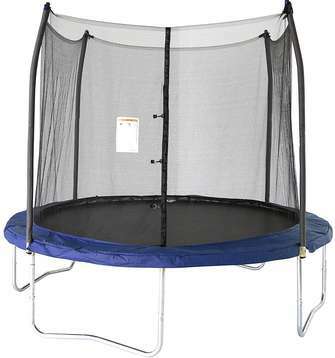 If safety is important to you, it’s always a good idea to get a trampoline with an enclosure. A safety enclosure prevents the jumpers from falling out, so it greatly minimizes the risk of accidents. 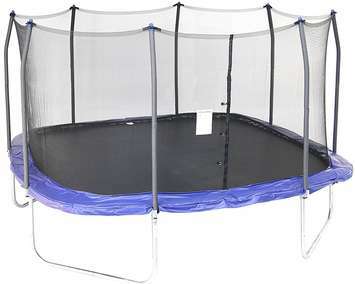 Whichever size and shape you want, you can find it in our list of cheapest trampolines with enclosure for sale.